Villa il Loto is an enchanting holiday villa near the small village of Montecchio di Cortona, very close to the enchanting Etruscan town of Cortona, made famous worldwide by the movie "Under the Tuscan Sun". It is just a short distance away from the splendid towns of Montepulciano and Arezzo. It is the ideal location to enjoy relaxing days, enjoying the Tuscan countryside and the gorgeous sunsets, the splendid food and wine of the hills of both Tuscany and Umbria, exploring the corners of this area called the Valdichiana. The Tuscan villa, furnished in modern Tuscan style, is perfect for groups and families, hosting up to 12 guests, with its 6 double bedrooms and 3 bathrooms. Guests will enjoy both private parking and a private swimming pool (measuring 6x12m) from which you can enjoy a panoramic view of the rolling hills nearby. The Tuscan villa is divided over two floors: on the ground floor, you will find the large living area and kitchen and two large double bedrooms and one large bathroom, accessible to wheelchairs or disabled guests. The top floor has 2 double bedrooms with view on the countryside, a bathroom with shower and two more bedrooms facing in the opposite direction with a panoramic view and luminious bathroom with shower. The open space living area and kitchen have everything you need to make your stay comfortable and relaxing. The kitchen has a dishwasher, all the utensils you need to enjoy meals at home, a kettle pot, toaster, and moka coffee machine for your morning brew, while the living room has a large TV and comfortable sofa to enjoy a relaxing break. Wifi is available in this entire area. The patio and garden is easily accessible from this area, where you will enjoy fine meals al fresco, under the gazebo while you enjoy a barbecue or the pool. The olive trees and other local plants around the pool and villa will remind you of the gorgeous Tuscan setting you find yourself in. The entire ground floor and external garden area and pool is easily accessible to any guest with mobility handicaps. The town of Montecchio di Cortona is a short distance away, where you can find a wonderful bakery, a small supermarket, a cafe (called bar in Italian), a pharmacy and bus stop. A little further away is Camucia, with a train station, larger supermarket and other shops. You should find most everything you need without having to go too far away. Cortona is just 6km away from the villa, while Montepulciano is 20km and Arezzo is 25km away. You can definitely use the villa as a great base to explore the area of souther Tuscany and border with Umbria: Lake Trasimeno is just 20 km, the Valdorcia and Pienza is just 35km and Perugia is 45km to the south and Siena is 60km to the northwest. If you want to spend a day shopping, you can either head to the Outlet Valdichiana which is just 10km or north along the A1 to the Outlet The Mall just outside Incisa Valdarno (about 50km from the villa). Florence is 70km away, about half an hour away. Feel like a day on the green? The Golf Club Valdichiana is just 10km from the villa. You will have a fully accessorized kitchen, a dishwasher and washing machine at your disposal to use as you need. Disabled guests can stay on the ground floor bedrooms and use the spacious wheelchair-accessible bathroom, with easy access to the kitchen, living area, garden and pool. The villa has air conditioning in all of the bedrooms and common areas, as well as internet Wi-Fi. The living room has a TV with SAT channels to enjoy relaxing indoors but there are also garden chairs, tables and lounge chairs outside in the patio and by the pool, to enjoy time outdoors. Guests can use the barbecue to cook outdoors and enjoy meals under the gazebo. Guests will find sheets for all beds towels in the bathrooms and separate towels for the pool, kitchen linen. Check in time is from 2 to 4pm (flexible time on request) and Check out by 10:30am. To confirm bookings, the villa owners request a deposit of 50% of the total through a bank wire transfer, with the remaining balance paid a month before arrival. The villa can be reached by train from Florence, Rome and Arezzo. The closest stop is Camucia and there you will find both taxi and bus to get to Montecchio di Cortona in about 5 minutes. You can drive to the villa by following the A1 roadway from Rome or Florence, the exit being Val di Chiana. From there, that the road "Siena - Bettolle - Perugia", then exit at Cortona, following signs for "San Lorenzo" and then for "Montecchio di Cortona". 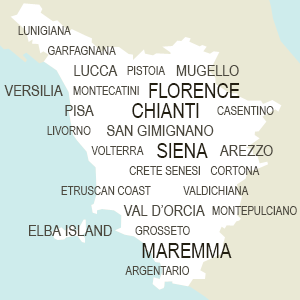 The closest airports are in Perugia, then in Florence (Peretola) and in Pisa (Galileo Galilei). The next major one is in Rome, called "Fiumicino". We are Dante & Liliana Masieri, siblings who have hosted many world travelers over the past 15 years in our relais villa in Arezzo called Villa Rossi Mattei. We love our work, sharing our traditions and history with our guests. We are always available and prepared to offer our guests assistance and information on the local area and suggest itineraries to follow. We will help our guests with any needs, making them feel at home. We look forward to welcoming you to our Villa il Loto soon!